My concern is, how far along are the Death Star-esque plans? So...does this mean Officers who enter the new command will start off as....Space Cadets?? My apologies to those of you who have had your Spinal cord surgically removed.... I mean current and past officers. Just because an opinion differs doesn't make it any less valid. Remember those who gave their ALL to guarantee freedom of speech. Who in the service will be the Space Cowboys? The US flag has been planted on the moon.What better place to build that first base ? Gotta guard the giant lasers and railguns. Would it be smarter to put an instillation on the moon first due to the proximity to Earth or go big and just set up shop on Mars? NASA claims to have a rocket to get a spacecraft to Mars in 6 weeks. Logistics, logistics, logistics. One of the biggest barriers to interplanetary travel is launching enough fuel off of earth to propel something the rest of the way. If infrastructure can be established off-Earth that would allow for fuel to be produced without the need to lift it off the planet’s surface, that would be huge. I could envision something being developed to produce fuel on the moon from extracted materials, and to fuel a ship assembled in Earth orbit to then push out farther. Time to bring some freedom to the moon. Fuel on the moon? Hells yeah. We're gonna freedom the crap out of it with Harleys and Wal Mart and we'll get Lockheed Martin to open a fast food division. ….or go big and just set up shop on Mars? Based on Matt Damon growing potatoes in "The Martian," some legal precedent of 'homesteading through cultivation' could establish a claim for either Prince Edward Island or Ireland. I like how they point their space rifle muzzles at the deck on the space Landing Craft, as if they're getting into a helicopter. They're in full pressure suits...no effect on them from an ND...unless it hits the reactor core, of course. 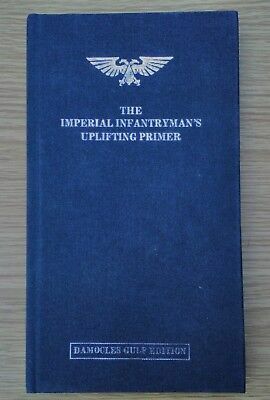 The Imperial Infantryman's Uplifting Primer states if you get sucked out into space you must hold your breath and make swimming motions back towards your ship. Because there are big nasty Aliens out there. And bugs. And Predators. *"The Soviets are our adversary. Our enemy is the Navy." The memes this announcement has inspired are so fricking good, I love the ones about the first VA claims.